Friday’s ad is for Schlitz, from 1957. 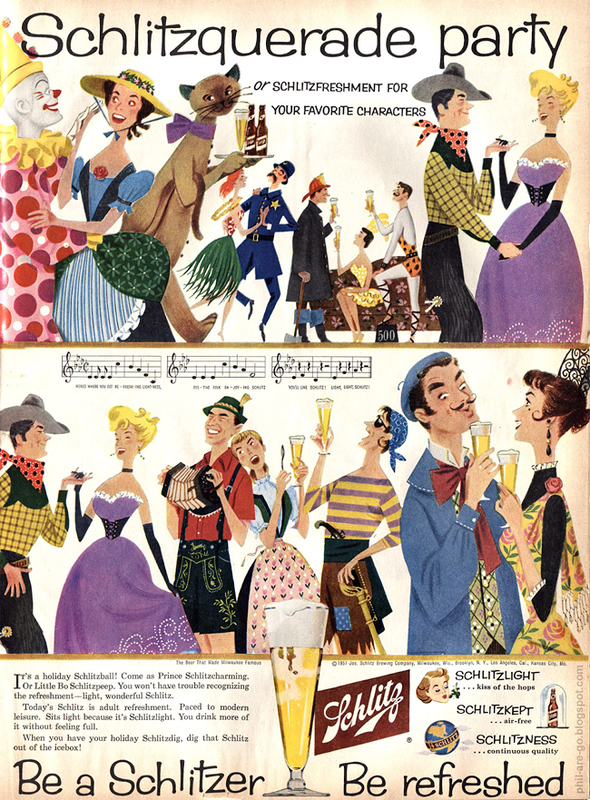 In this ad, part of their Schlitzerland series, there’s a costume party going on, where Schlitz is being served and then people start singing. Coincidence? I don’t think so. Personally, my favorite costume is the accordion player.